Flies are annoying, and they can carry various diseases that can make you very sick. There are several variations of flies, and each is attracted to different substances. Common house flies are attracted to decaying organic materials such as feces or rotten meat, while fruit flies seek out substances with a high amount of sugar, such as fruit, soda, and alcohol. If you remove their food source, such as by keeping your garbage cans away from your garage, the flies will find somewhere else to live. Additionally, flies also do not like air movement. Avoid stagnant air by installing a fan; not only will this help you stay more comfortable, but the wind will also deter flies. Keep standing water away from your garage. Install a garage door screen. Use a mosquito repelling lantern. Keep your garage clean and orderly. Use ant bait around baseboards and corners. Do not store open food in the garage, including pet food. Maintain home structure by making repairs to cracks. 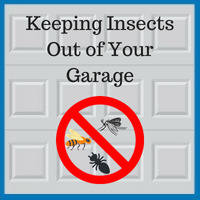 We hope these tips and tricks help you to achieve a pest-free garage. 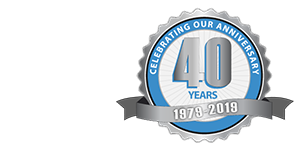 If you are looking to improve your garage, Blue Sky Builders offers free garage estimates upon request. Contact us or call us at 630-852-8485. To see the types of garages we have built, please view our garage gallery.